SAN FRANCISCO—Chief Justice Tani G. Cantil-Sakauye today announced, on behalf of the Supreme Court of California, the appointment of Mr. Jorge E. Navarrete, the court’s current Assistant Clerk Administrator, as the twenty-seventh Court Administrator and Clerk of the Supreme Court. The appointment will take effect Saturday, October 1, 2016. Mr. Navarrete will succeed Mr. Frank A. McGuire who announced his retirement, effective September 30, 2016, after a distinguished 30-year legal career, including the past 25 years with the California Judicial Branch. A native of Guadalajara, Mexico, Mr. Navarrete immigrated to the United States in 1987 to pursue his dream of becoming a pilot in the United States Armed Forces. He enlisted in the U.S. Army in 1989, attended basic training at Fort Sill, Oklahoma and the Air Assault School at Fort Ord, California, received three promotions during his service, and then an honorable discharge in 1993. Prior to joining the Supreme Court in 1996 as an Office Assistant in the court’s file room, Mr. Navarrete was a security officer and later a supervisor at the firm that provided security services to the Supreme Court and the Court of Appeal, First Appellate District, in San Francisco. During his career with the court, he has been promoted through five more classifications, including Assistant Deputy Clerk, Deputy Clerk, Senior Deputy Clerk, Supervising Deputy Clerk, and Assistant Clerk Administrator. 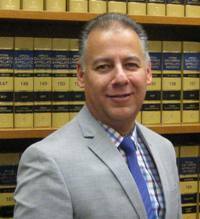 Mr. Navarrete is a Certified Court Manager having completed the National Center for State Courts, Institute for Court Management, Court Management Program. Prior to enlisting in the U.S. Army, he also studied business administration and accounting at San Francisco City College. As Court Administrator and Clerk of the Supreme Court, Mr. Navarrete will serve as the court’s executive officer and will be responsible for planning, organizing, coordinating, and directing—with full authority and accountability—the management of the Office of the Clerk and all non-judicial administrative support activities. Among his duties will be planning and carrying out administrative and operational programs and policies; overseeing administrative activities related to death penalty appeals and oral argument sessions; developing and carrying out plans for the court’s outreach efforts; developing, administering and monitoring the court’s budget; and coordinating court security.